I think many cultures have a dish made with noodles. Think of Italian pasta, fried Chinese noodles (thick and thin), Filipino pancit, Indonesian mie goreng, Pad Thai, Vietnamese pho soup, and more. Vancouver Foodster found a 5 restaurants around Kitsilano, Kerrisdale, and downtown to show off for us their noodle dishes. All the food was quite enjoyable, but very filling! Below are the restaurants we visited and the dishes we tasted. Enjoy! Our first stop was to pick up our Noodle Mania card from Platform 7 Coffee, a good place to get a cortado and a home made cookie, before going out for a night to eat noodles. First noodle stop was at Linh Cafe, who presents French and modern Vietnamese cuisine. 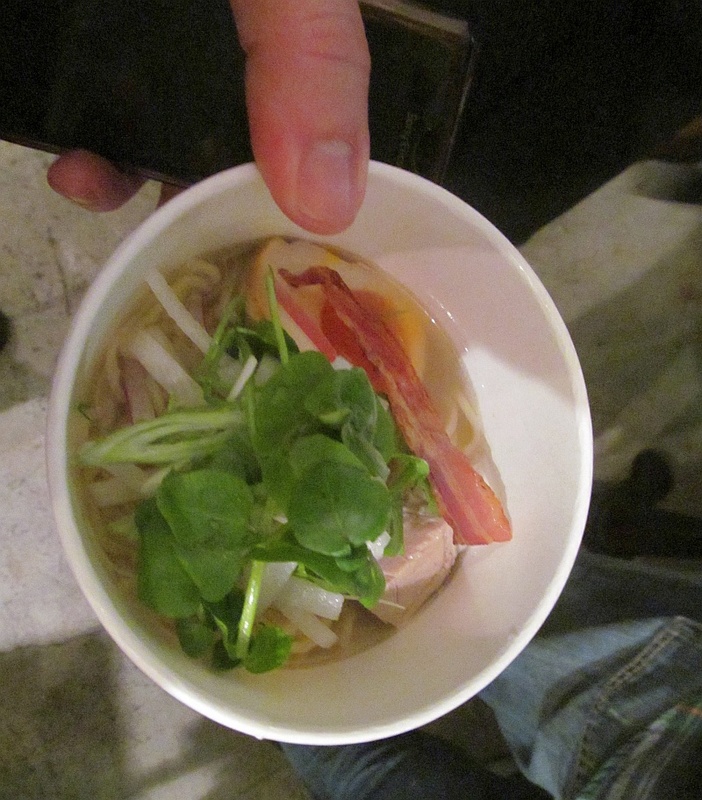 There we had Pho Bo, their Beef noodle soup, served with braised beef flank, rice noodles, and scads of scallions. Usually with pho you get lots of bean sprouts, but no sprouts here. A nice change. The star though for me was their Pho Xao; stir fried noodles with fresh herbs, organic oyster mushrooms, and marinated tofu on top of rice noodles. The brightness of the fresh herbs and earthiness of the mushrooms was delicious. Recommended. Stop #2 was Bubble Waffle, who tote themselves as Hong Kong and Taiwanese style cooking, although for me it was more Singaporean in style. If you like medium spicy I can highly recommend the Laksa soup, made with chicken, coconut milk, rice noodles, Chinese cabbage, and curry spices. There may also have been some cooked egg in it. Richard do you know? Stop 4 brings us to Che-Licious, a Vietnamese restaurant where we had a Zen Salad roll, made with tofu, carrots, cucumber, lettuce, pickled daikon, and red pepper, served with a smoky dipping sauce, and a bowl of beef Pho soup, with rare beef, brisket, beef ball, tripe and tendon. I didn’t see any of the tripe or tendon in the Pho. I do LOVE brisket in my pho. Brisket always is soft and full of flavour. The tofu in the salad roll was pan fried I believe and you could not tell that it was tofu. Nice. The food was presented spectacularly. You could eat with your eyes and your mouth. 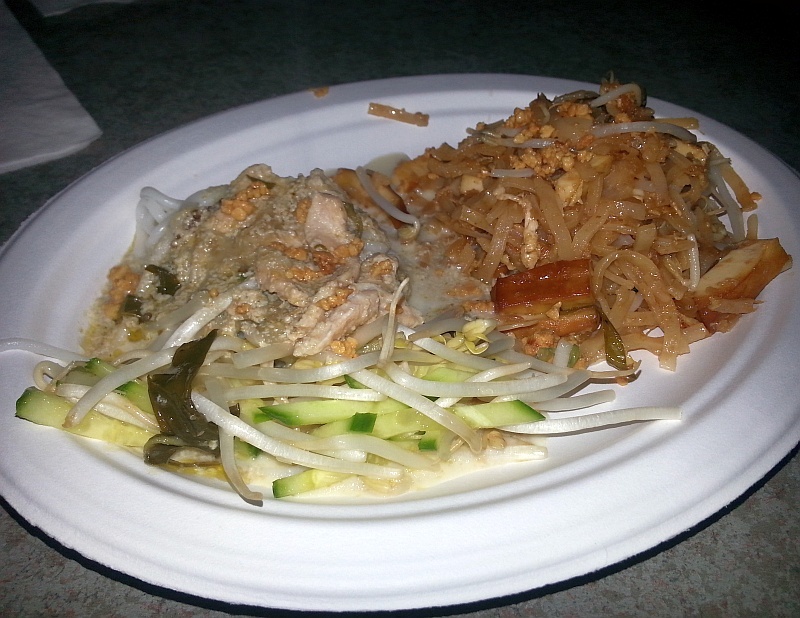 The last stop of the evening was U & I Thai, where they served their U and I Spaghetti Kee Mao, made with wheat spaghetti noodles, and a sauce made with Thai basil, and their Guay Tieow Tom Kha Gai, a chicken soup made with coconut milk, lemon grass and other spices, served with flat rice noodles. This dish was my FAVOURITE of the night. It was delicately flavoured and light. I was told by the restaurant owner that this soup will be showing up on their lunch menu so go try it. Thanks to all the restaurants that opened their doors and noodles to us, and to Richard @vanfoodster for setting up this fun event. Registration: Platform 7 Coffee -this is where you will show us your printed or digital tickets and will pick up your Noodle Mania Cards. (Note: registration will open at 5:30pm). Advance Tickets: $40 per person. $150 for a 5 pack of tickets (get a group of your friends/family together and save by purchasing a 5 pack, tickets only $30 each). Regular Tickets $55 per person after January 2, 2016. 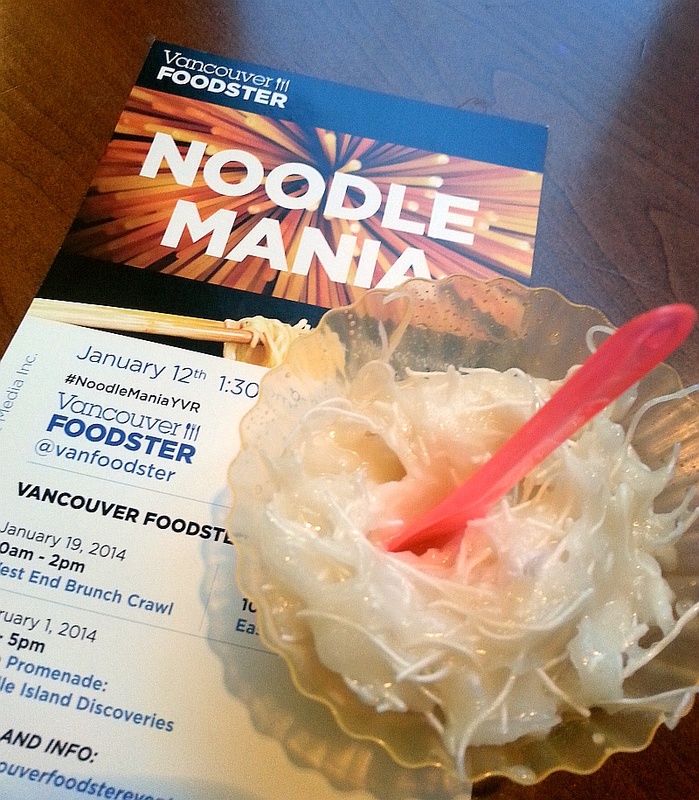 Vancouver Foodster’s Second Annual Noodle Mania has come and gone. It had an interesting lineup of restaurants and dishes. 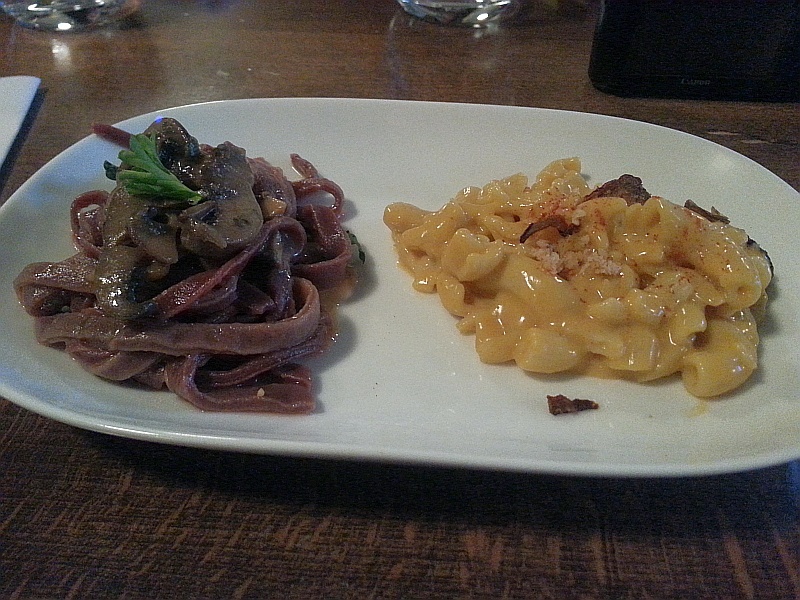 We had both sweet and savoury noodle dishes to sample, for vegans and omnivores. 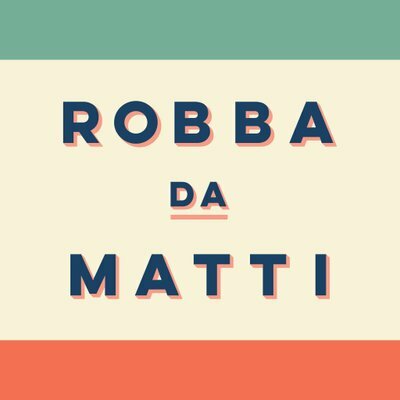 The restaurants and their dishes are below, together with a few of my comments/recommendations and pictures. Enjoy. This was actually my last stop during Noodle Mania, but was one of my favourite. The chef was telling us how on a trip to India last year, that he came across a new “craze” which was to put noodles inside samoas. He must have liked the taste enough, that he brought the idea back with him to Vancouver. I enjoy veggie samoas, so I picked the veggie option. 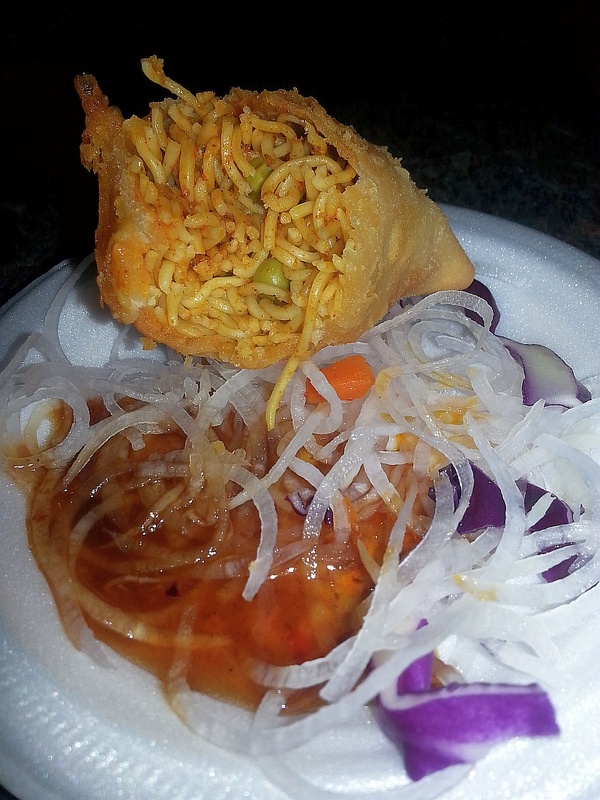 The samosa was full of flavour, with thin rice noodles and vegetables mixed with light curry spices. I would go back here to have a few more as well as enjoying their other Indian dishes. I was not sure what to expect from a chocolate shop for noodle mania. 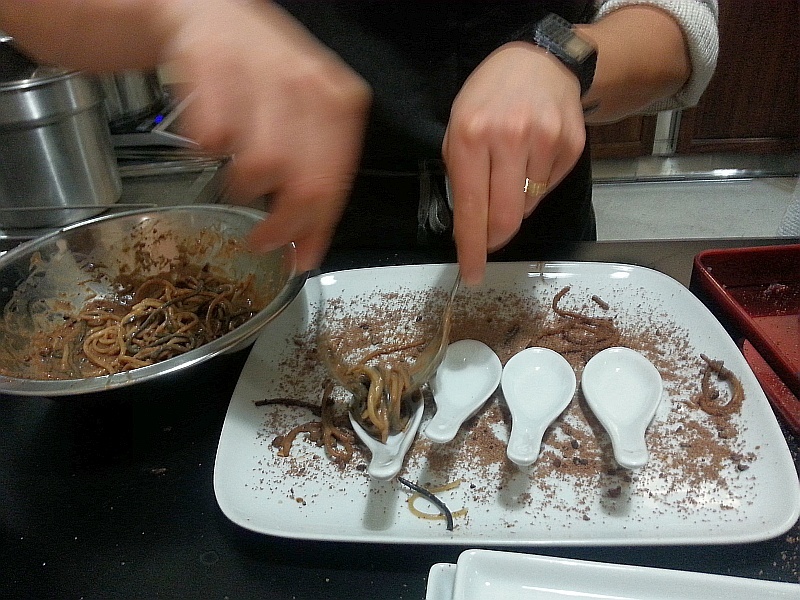 They made 2 different noodle dishes, one with dark chocolate and the other with milk. The dishes were interesting, but I think just having a tiny sample was enough for me. I do not know that a whole plate would have worked for me. But besides the noodle dishes, there was a sampling table of various chocolate bars made by xoxolat and those were very good. I purchased two chocolate bars; one chocolate with lavendar, and the other was tortilla chips and lime with chocolate. Graze Vegetarian looked vaguely familiar as I stepped through the doors, but was told by the other foodies I was with that this used to be The Fray restaurant. Quite a change, with creamy white walls and an elegant wall mural on one wall. As I try to eat gluten free, I was looking forward to trying their GF “mac and cheese”. The mac and cheese really did taste very cheesy, but it did have a bit of a sour note to the sauce, which I found out was from fermented coconut milk. Some people at my table enjoyed the sour tang to this dish. The other dish was the beetroot linguini which had nice earthy flavour to it, which I quite enjoyed. Toward the end of our tastings, we decided to stop at Bella Gelateria for a palate cleansing sorbetto. This one had very bold flavours with the rose water and lime juice. I agreed with my Noodle Mania companions that the flavours were quite intense and maybe could be toned down just a bit, but I did enjoy the flavour combination. Try this out in the summer while you sit by the convention centre watching the boats in the harbour. This was the first stop at Noodle Mania and I really enjoyed their pasta. In particular I thought the Riagoni was excellent. I really liked the bright tomato flavour and the bits of eggplant in it. For those of you who like heartier dishes there was the Strozzapreti con ragu bolognese, which of course is a pasta dish cooked with a meaty ragu sauce. Beside the meatiness of the sauce, I did also like the buttery component, which may have come from the noodles? Pho soup, for those that haven’t tried it is a flavourful, filling bowl of noodles with various cuts of beef (usually), bean sprouts, basil, lime, in a tasty clear broth. I usually add some chili sauce to my pho for an extra kick. I had the pho with meatball and beef brisket. I picked this dish in particular because beef brisket is always tender, melting in your mouth as you enjoy the rest of your soup. You can get pho with rare steak, but that tends to be chewier than the brisket. I just love the flavour and texture of the brisket. 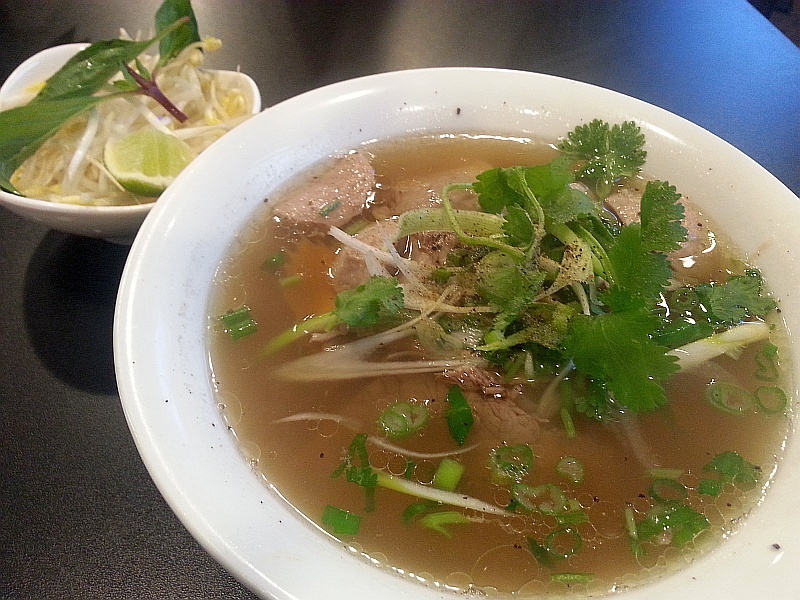 Try some pho on one of these cold, rainy days in Vancouver. You will be glad you did. Kanom Jeen is a traditional Thai dish consisting of green curry chicken over rice noodles, lime, bamboo shoots, basil, eggplant, and more. I really enjoyed this dish. It had bright flavours, was medium spicy, and you also had some crunchy vegetables too. The sliced cucumber was really a nice accompanyment. The Pad Thai was also cooked perfectly with it’s fried noodles in tamarind and fish sauce, smoked tofu, peanuts, eggs, garlic and bean sprouts. I have no problems coming here again to enjoy their Thai food. 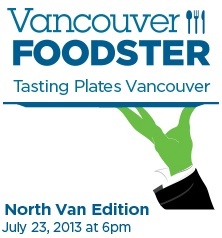 Thanks again to Richard ,Vancouver Foodster, for his ongoing efforts to put together this event plus other foodie events around Vancouver. We all have our favourite tasting samples from an event like this. 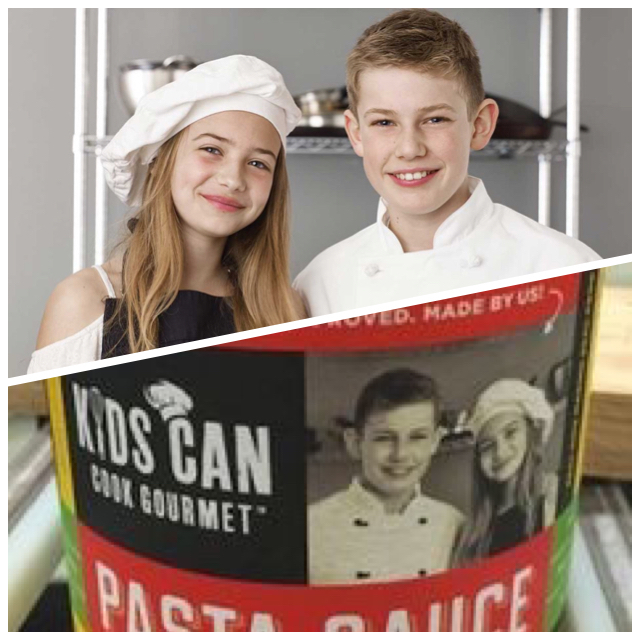 My favourites were from Fishworks Restaurant and Gusto di Quattro, who put together I think something special for the event. The other restaurants offered items from their menu, which gives you a peek at their menu. Fishworks offered two items to taste: a Chef’s Creek oyster on the half shell, and a seared tuna served with watermelon, chili spice mayo and scallion (I hope I got the description right. Please correct me if wrong). 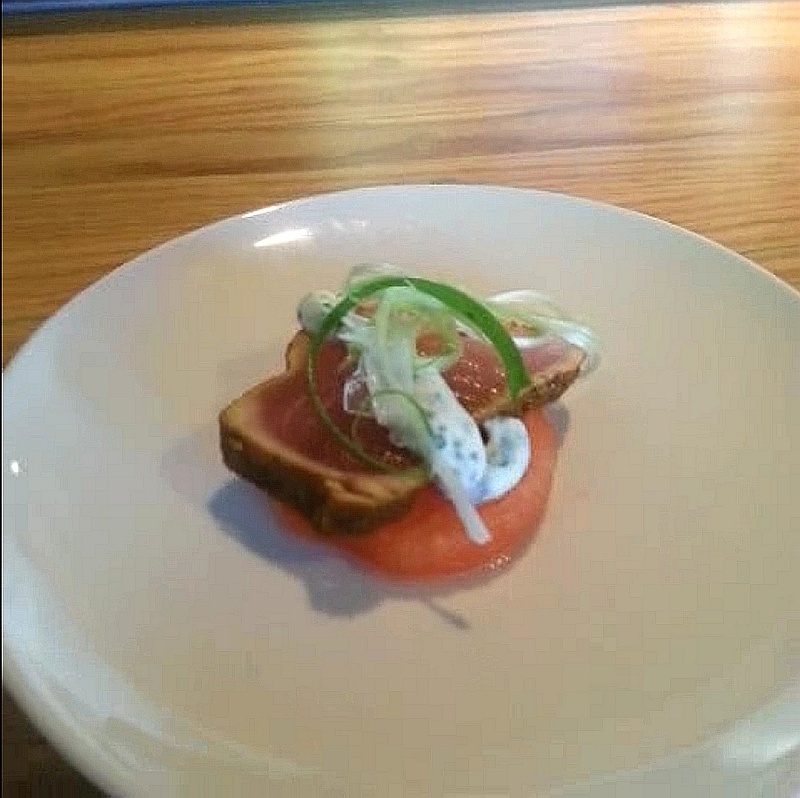 I loved the interplay between the meatiness of the tuna with the refreshing flavour of the watermelon, and the hint of spice in the mayo. My overall favourite dish of the evening! 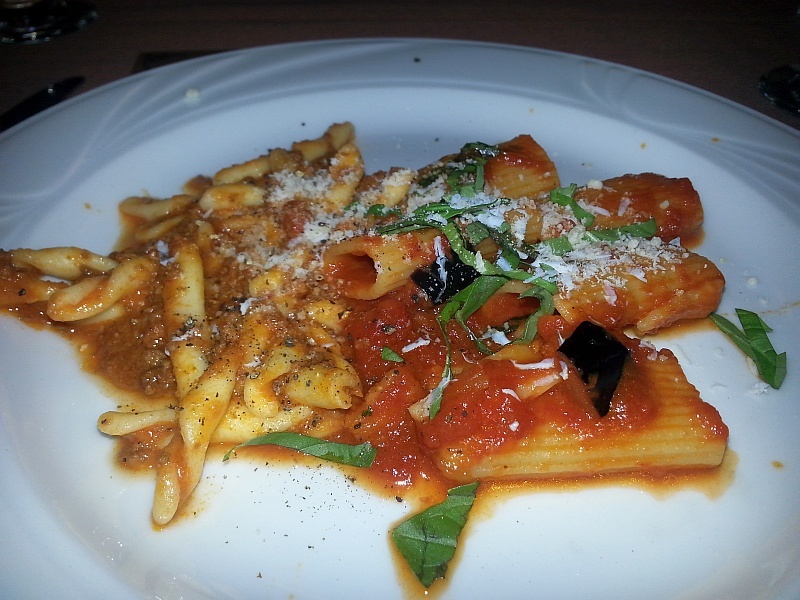 Gusto di Quattro, an Italian Restaurant, was quite innovative creating a cold Italian pasta dish with an Asian twist. In fact the dish was served in a Chinese take-out container and you ate this dish with chopsticks. 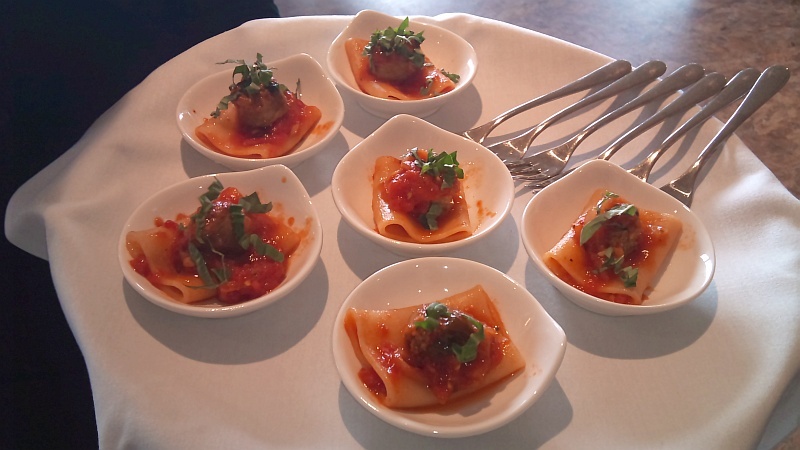 The dish was called the Ori-talian Noodle Box. It was a thin spaghetti noodle served with pickled vegetables, balsamic vinegar, garlic and crispy Parmesan wontons. 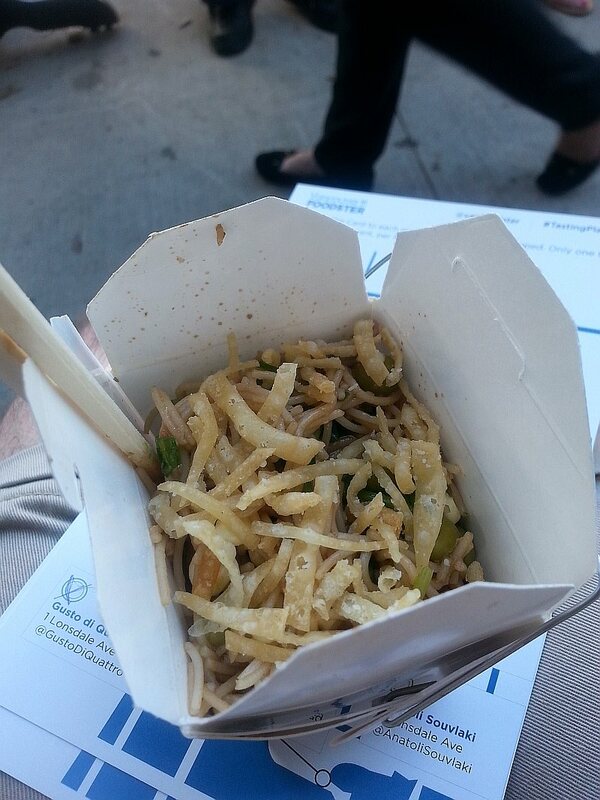 I enjoyed the different textures and flavours, plus it was cold and refreshing on the hot summer evening of the event. 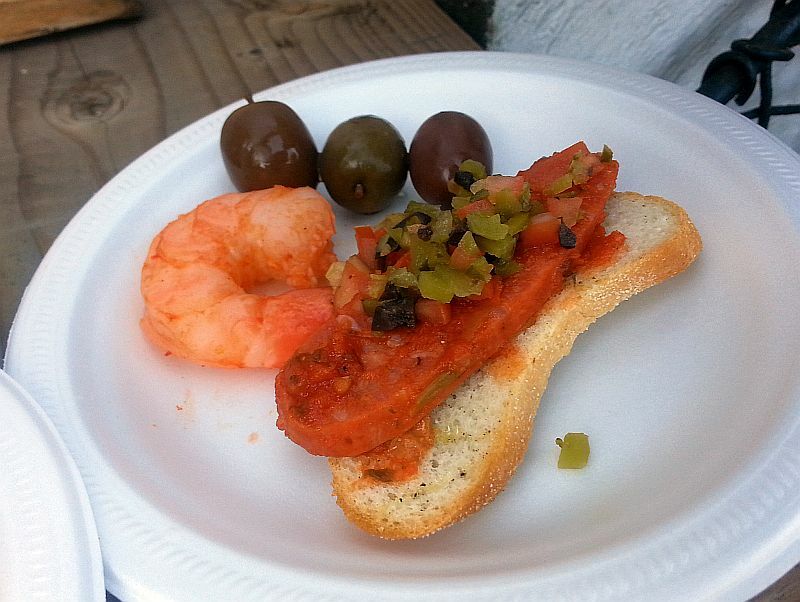 El Matador served us some tapas; olives, a crusty bread topped with a slice of spicy chorizo, and a spicy prawn. If you like tapas, give El Matador a try. All the items were tasty. If you like Greek food, there is solid traditional Greek food at Anatoli Souvlaki. 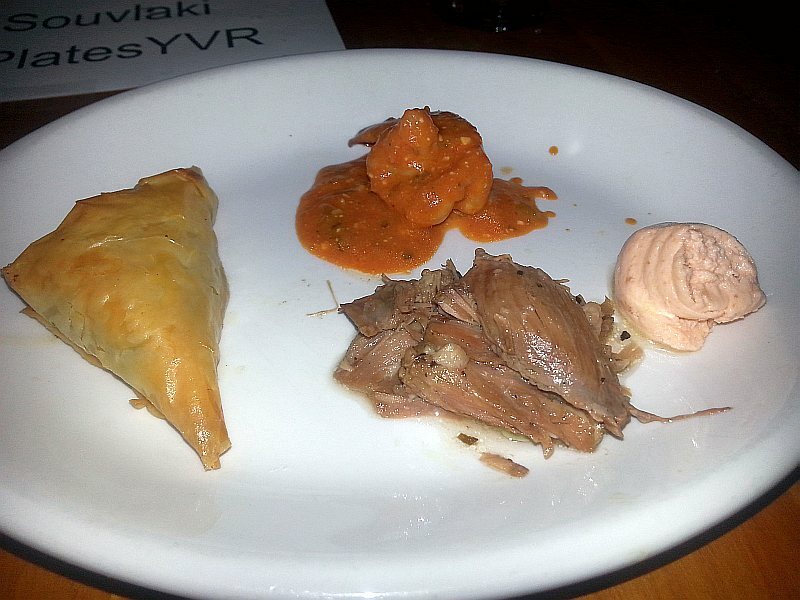 We were served Anatoli Souvlaki with with caviar spread, prawns, spanakopita, and roasted lamb. 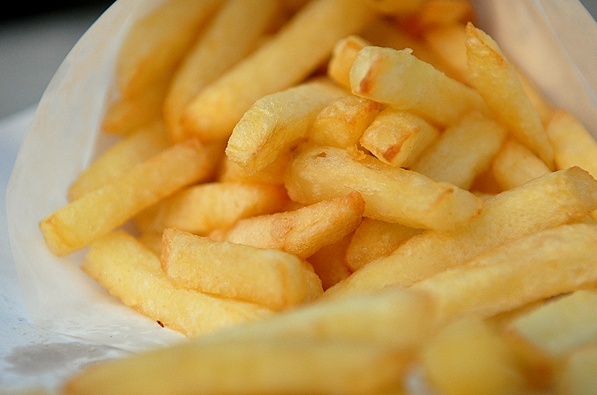 The District offered us Belgian-style pomme frites (twice fried), and served either with a herbed mayo or ketchup. 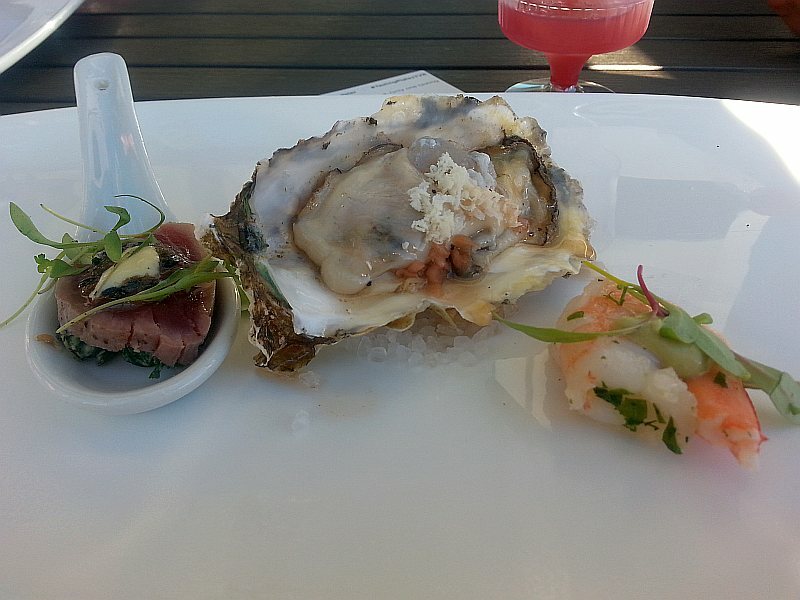 More seafood was to be tasted at Pier 7 Restaurant; a large oyster on the half shell (not sure of the variety), a prawn, and seared tuna. Pier 7 is located right on False Creek, so you have a spectacular view of downtown. 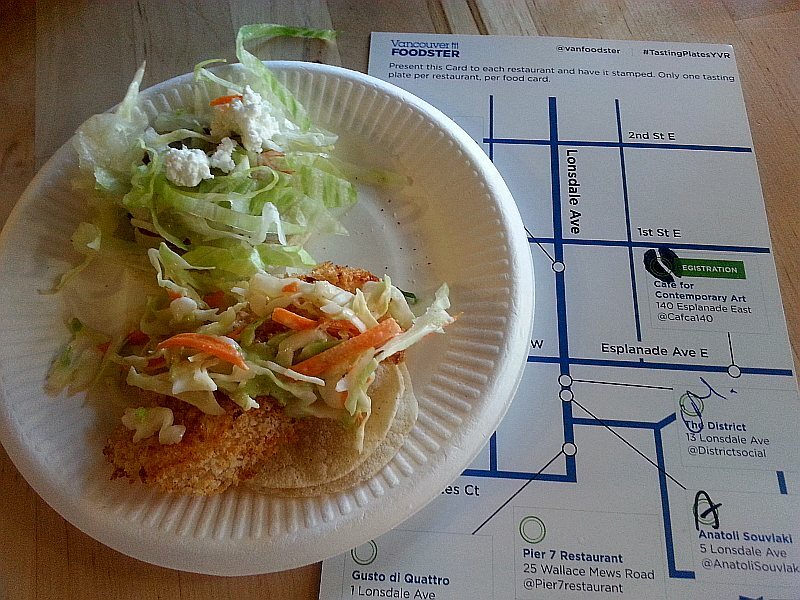 The Cafe for Contemporary Art offered two items, a Basa fish taco (open face), and a vegetarian taco (not sure the ingredients). It is estimated that approximately 1 in 6 people have some level of gluten sensitivity. Gluten is the substance in wheat flour that gives bread it’s elasticity. Celiacs are people who cannot tolerate gluten at all, but for the gluten sensitive people, we can eat food, like a sandwich, but the gluten can cause us to get heartburn or patchy red skin, or other ailments. While not life threatening, it feels better when you do not have to worry about eating a meal and wondering if there is a gluten-based product. Pasta or noodle dishes are popular with most people, but most noodles are based on wheat. 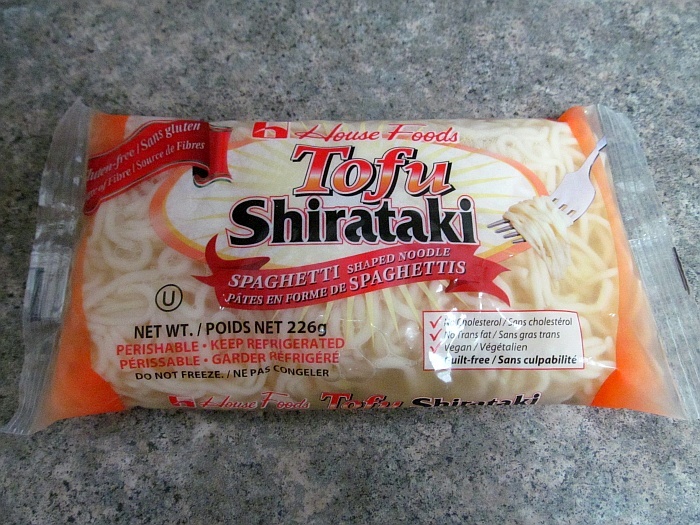 There are some noodles made from rice or bean thread, but I recently became aware of a new product for me called “Tofu Shirataki” by House Foods. Tofu Shirataki is a pasta alternative made by blending the flour of the Konnyaku – a member of the Asian yam family (also known as Konjac) with tofu. I visited my local Choices Market and picked up a package of the Tofu Shirataki spaghetti style noodles to try in a Chinese stir fry. I received a coupon for these noodles. Beside the spaghetti shape, there is also fettuccine, angel hair and macaroni shaped noodles too. The package of noodles come in a sealed package that is filled with water. Opening the noodles, the instructions are to rinse them in water, then to boil them 2-3 minutes as use just like pasta, or if you are going to use them in a stir fry, to rinse them, then add them to the stir fry. The 226 gram package I think is enough for 1 hungry person, or two people with regular sized appetites to share for their meal. To my stir fry I added chopped vegetables, and condiments of sesame oil, ground ginger, vinegar, soy sauce and black bean sauce. 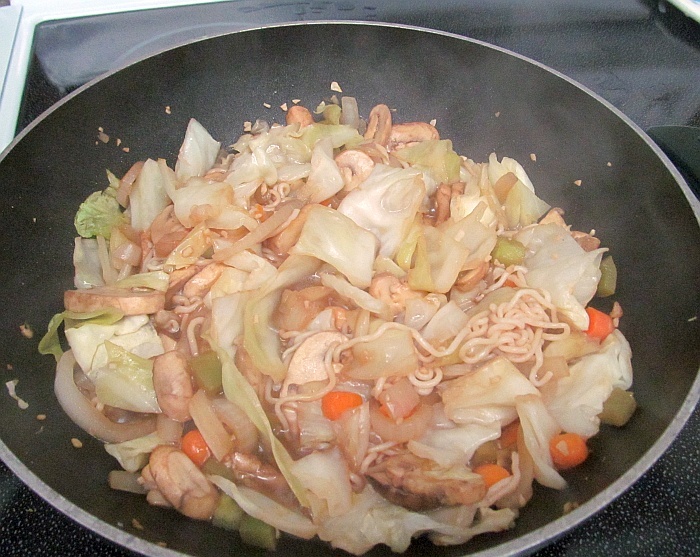 I placed the noodles on top of the cooking vegetables and let things simmer for a few minutes. The noodles are not fragile so it was easy to stir them into the vegetables and not worry that they would fall apart. Into my bowl, I sampled some of these now seasoned noodles and was very pleasantly surprised. The noodles did not stick together like you can get from wheat-based noodles. When I bit into the noodle, there was some firmness, similar to al dente pasta. I really enjoyed the texture of the noodles. There was also no sour taste that you can get from tofu on it’s own. I doubt most people could tell that they were not eating a wheat-based noodle. I feel comfortable recommending these noodles to anybody to try. I will buy these as well myself in the future for my meals. Enjoy!